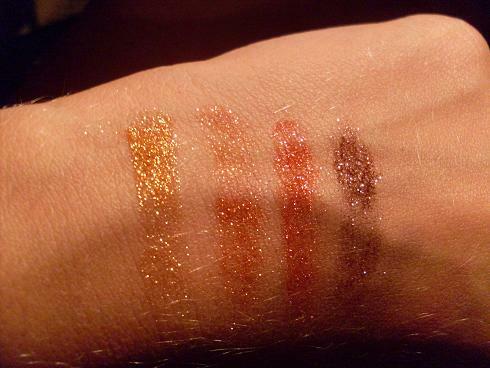 For your viewing pleasure, I have some swatches of the pigments and glitters that I own. With the exception of the second set of glitters, they are all with no base. The first set is swatched using a MAC 275SE, the second is swatched using the mark eyeliner brush.